Yellow colors, earthy red, beige, dark and light brown color shades are perfect for room decorating in 2018 and have the power to stay. The Earth Dog year brings the attractive natural color palette which blends beautifully with neutral color tones and vibrant accents. Yellow shades, berry red, pinkish purple, green, turquoise, and light blue pastels associate with nature, so interior design color schemes which include these hues are pleasant and comfortable. 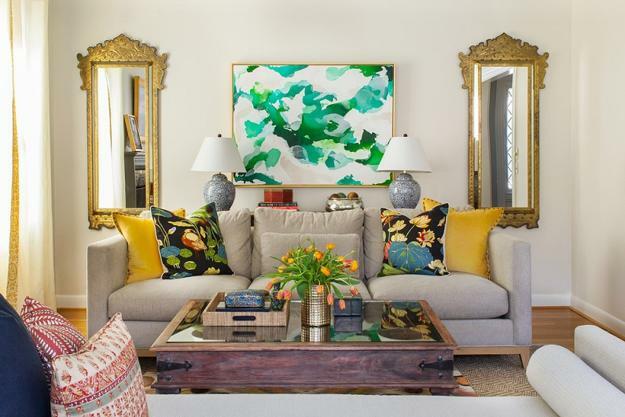 Lushome presents the modern color palette of yellow, deep red, and purple, and ten fresh color schemes for creating stylish and beautiful interior design for 2019.